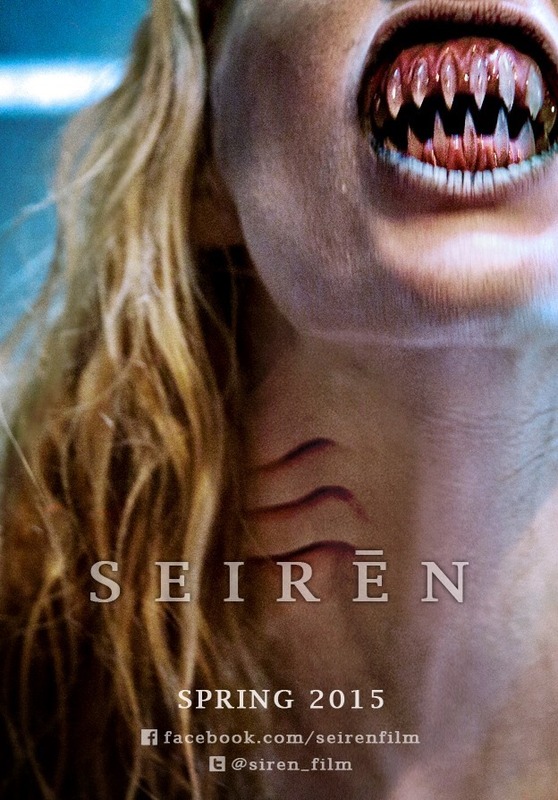 Seiren–an ambitious, stylish short, written and directed by Kat Threlkeld, moves at a brisk pace and feels a bit like a new, very welcome installment of Tales from the Crypt. The striking Sayla Vee de Goede plays Abigail, a model bitten while on a shore-side photo shoot with a laidback, flirtatious photographer (Arnaldo Lavres). Initially dismissive, the effects of the mysterious bite soon become too profound to ignore. Far from solely sinister, there are a number of light touches and moments of humor in the symptoms of the new transition, especially in Abigail’s consuming habits, as evidenced in a memorable restaurant scene with her concerned friend (Mallory Palmer) who may be in over her head. Capably handling the performance demands of the increasingly horrifying change, de Goede delivers strong work. Really well executed, very solid creature effects add to her character: the bite wound, nails, teeth, and gill FX are all remarkably well done for a short. Overall, the best makeup FX in recent memory from a micro-budget short, courtesy of Lisa Wilde, Heather Funk, and beauty makeup from Heather Hollett French. Seiren also features very effective sound design, especially in the latter half. Seiren signals Threlkeld as one to watch–a promising, rising director and writer. Her photography background lends itself to the composition of some great visuals courtesy of cinematographer Rodney V. Smith and work by Angel Navarro III–including artful underwater photography. A high level of craft and artistry is on display throughout, both on a creative and technical level. Definitely worthy of further attention and festival play.